Don’t miss the Charlotte REIA Main Meeting on Thursday, December 1st at 6PM, where our special guest speaker will be Donna Bauer. The meeting will take place at the Crowne Plaza Hotel Charlotte Executive Park which is located at 5700 Westpark Dr in Charlotte, NC. Donna Bauer, nationally known as The Original NoteBuyer®, is one of the nation’s most recognized subject matter experts on Discounted Notes, Seller Financing, and Distressed Mortgages. For over two decades, Donna's exclusive strategies have produced stunning results regardless of economic conditions. As thousands of successful investors have discovered, Donna's approach to real estate investing is brilliantly suited to today's unique market and the shift toward alternative forms of financing. All this is happening at the Charlotte REIA main meeting on Thursday, December 1st at 6PM at the Crowne Plaza Charlotte Executive Park located at 5700 Westpark Dr in Charlotte, NC. Come join Charlotte REIA and Donna Bauer on Saturday, December 3rd at 9AM at the Hampton Inn located at 9615 Independence Pointe Pkwy, Matthews, NC for a full day Note Buying Workshop where you will learn the fastest, easiest and safest way to make huge profits in real estate. Donna Bauer, nationally known as "The Original NoteBuyer", is one of the nation’s most recognized subject matter experts on Discounted Notes, Seller Financing, and Distressed Mortgages. Why notes instead of the properties? 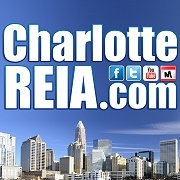 Housing rental rates Charlotte are spiking. Why? The Housing Partnership is a broad-based, private, nonprofit housing development and financial corporation organized to expand affordable and well-maintained housing within stable neighborhoods for low and moderate-income families in the City of Charlotte and Mecklenburg County. It is our vision that everyone would live in a safe, affordable home in a vibrant community that supports independence, opportunity and advancement. To do this, we provide a comprehensive range of affordable housing services focused on revitalization, education and real estate development. We have been serving the Charlotte area for over 25 years. Elizabeth Kurtz is the lead Housing Coordinator with Charlotte Family Housing – a local non-profit helping low-income families work toward self-sufficiency. Elizabeth brings her 17 years in multi-family property management and her passion for issues surrounding poverty and homelessness to her job. Elizabeth and her team serve as the point-of-contact between the 175+ families we serve and our approximately 70 housing provider partners. Elizabeth also serves on the Government Affairs Committee with the Greater Charlotte Apartment Association, and co-chairs the Committee on Workforce and Affordable Housing. Mary Gaertner is a Neighborhood Program Coordinator with the City of Charlotte’s Neighborhood and Business Services Division. In this role, Mary manages the work of the Housing Advisory Board of Charlotte-Mecklenburg which is the board appointed by the Mayor, City Council and Mecklenburg County Board of Commissioners to develop strategic plans for ending and preventing homelessness in our community. She currently serves as the liaison to the Mayor’s office for a national initiative to end Veteran Homelessness. All this is happening at the Charlotte REIA main meeting on Thursday, November 3rd at 6PM at the Crowne Plaza Charlotte Executive Park located at 5700 Westpark Dr in Charlotte, NC. Don is a seasoned investor who has completed many of his own profitable rehabs. Don is also a mentor and has taught many other investor how to successfully complete their own. Don’t miss out on this great opportunity to get your house flipping business up and going quickly. You will learn a great deal of information about the entire rehab process. All this is happening at the Charlotte REIA main meeting on Thursday, October 6th at 6PM at the Crowne Plaza Charlotte Executive Park located at 5700 Westpark Dr in Charlotte, NC. Come see Don on October 8th & 9th at 9AM at the Hampton Inn located at 9615 Independence Pointe Pkwy, Matthews, NC, where he will spend two full days teaching you how easy it actually is to Find 'Em, Fix 'Em, and Flip 'Em. You will spend two full days learning the art of flipping houses. Don will show you a Step-by-step process to evaluate, avoid rookie mistakes and build a highly profitable fix and flip business. Don will give you his manual practical tips with real life examples, easy to use systems and killer paperwork so you can tap into this exciting and potentially unlimited source of income and financial freedom. This will be one of the best, most affordable boot camps you've ever attended! So don't miss it! Join us Thursday, September 1st at 6PM at the Charlotte REIA Main Meeting held at the Crowne Plaza Hotel Charlotte Executive Park which is located at 5700 Westpark Dr in Charlotte, NC where we will have a panel of real estate experts that will be reviewing any deals you bring into the meeting. Linda Dana, Jeffrey Richman and Chip Cross will be analyzing your deals and sharing their thoughts on how they would buy, sell, fund, fix, hold or sell such a deal. Be sure to Download this Seller Lead Sheet and fill it in with the appropriate information and bring it to the meeting! You can bring as many as you want! So many investors, new and seasoned alike, struggle with what to offer and are often thwarted by trying to determine if an investment opportunity is a "Deal" or "No Deal'. Some investors jump on every potential deal that comes along because they're afraid to let one get away. Others can't seem to "pull the trigger" on a deal because they're so afraid to make a mistake. Some don't even know why they can't act on a deal. All new investors face the same challenge: How do you know if you're looking at a good deal or not? First of all, what could be a good deal for one investor might not be for another. Once you know what your personal buying goals are and establish your criteria, it will help eliminate "No Deals" from your consideration quickly. After that, it's a matter of knowing how to "size up" a good deal by knowing what to measure and how to calculate your potential profits and expenses. Is it a CASH Deal? Is it a Lease Option? Do I buy Subject-To? Should I Buy, Fix & Flip? This month at Charlotte REIA we will have a panel of Real Estate Experts that will review your deals and share with you how they would make the deal work or if you should turn around and run. We want you to bring YOUR Leads (download and complete this complimentary LEAD SHEET) and Linda, Jeffrey and Chip will pre-screen and analyze them, show you what they would do and possibly construct a few potential offers on the spot! To create strategies that you could be using right now to create bigger profits and increased cash flows! This panel of experts is NOT TO BE MISSED if you want to really learn how to determine what to offer and how to read the numbers! This will be a great evening. We look forward to seeing your smiling faces on Thursday night. Please bring a Deal/Opportunity for us to review. Remember to download a LEAD SHEET, fill it out and bring it to our event! Bring family and friends. And remember: We LOVE questions and input – questions and input make us all better, smarter, wiser real estate investors! All this is happening at the Charlotte REIA main meeting on Thursday, September 1th at 6PM at the Crowne Plaza Charlotte Executive Park located at 5700 Westpark Dr in Charlotte, NC. We look forward to seeing you at the meeting! After the conclusion of the Charlotte REIA Meeting, we will be reconvening in the Crowne Plaza's Hotel Lounge for Late Nite Networking. Food and drink specials for our members and guests will be available. Come eat, drink, network and have fun with us as we hang out late into the night! 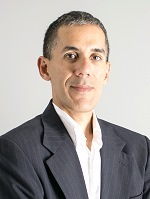 Frank Iglesias will be joining us at BIG Online on Wed Aug 24 to give you some tips and his know-how on what he says to sellers to close the deal. 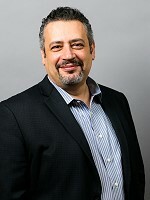 Frank Iglesias is one of the Founders and Managing Partners of Working With Houses, LLC, an Atlanta area Real Estate Investment Company that primarily works in the residential renovation industry, repairing and updating properties to bring value back to neighborhoods that have been devalued by the recent housing crisis. This is definitely an online meeting you don't want to miss!! Join us Thursday, August 4th at 6PM at the Charlotte REIA Main Meeting at the Crowne Plaza Charlotte Executive Park located at 5700 Westpark Dr in Charlotte, NC where our special guest speaker will be Bill Cook who will be discussing one of the best kept secrets in the real estate investing industry… Options! TAKE ACTION and RSVP for this Meeting Now! Come join us to learn how to add Options to your bag of real estate investing tricks! All this is happening at the Charlotte REIA main meeting on Thursday, August 4th at 6PM at the Crowne Plaza Charlotte Executive Park located at 5700 Westpark Dr in Charlotte, NC. We look forward to seeing you at the meeting! This "edutainment" training will show you how to overcome your fears by leading you away from the mistakes I've made. Once you sign up and attend this event, you will learn the ins and outs of success in the wholesaling business. Wholesaling 101 takes place on Saturday, August 27th from 9AM to 5PM Online via GoToWebinar. Come join us online! I would love to help you take your Wholesaling Business to the next level! Register & Pay for the Event: Register for the Online Wholesaling 101 Workshop. Our next Charlotte REIA Main Meeting will be on Thursday, July 7th at 6PM at the Crowne Plaza Charlotte Executive Park located at 5700 Westpark Dr in Charlotte, NC and we are very excited to present real estate investor, author, teacher, coach and national speaker, Don DeRosa. Would you like to learn how to negotiate and structure deals so you can buy houses with little or none of your own cash and none of your own credit? 15 hours a week... That’s all you need. Imagine… taking any seller lead and being able negotiate a winning deal out of it. Making thousands of dollars where you thought there were none. No more wasted marketing dollars. No more wasted phone calls. No more wasted time. Don will walk through actual deals step-by-step and he’ll show you how to easily negotiate and evaluate a lead, determine your exit strategy, structure the deal, negotiate with the seller, and get the paperwork done in a snap. There's More Training, Networking & Fun! And if you want even more, you are in luck! Don will be back on Saturday, July 9th for a full day Expert Negotiating Workshop. And better yet, Don and Linda will be taking the first 14 students who Register and RSVP for a real estate fun cruise on Lake Norman on Friday. Register Now, RSVP and Join Us for a day of sun and fun! It’s an amazing time to be a real estate investor. Don’t look back 5 years from now and wish you had acted. Learn how to buy right… Learn to Make More and Work Less, Right Now! We look forward to seeing you at the meeting! All this is happening at the Charlotte REIA main meeting on Thursday, July 7th at 6PM at the Crowne Plaza Charlotte Executive Park located at 5700 Westpark Dr in Charlotte, NC. Don is a leading expert on negotiations and he wants to share with you what he knows to help you overcome your fears and achieve your goals. On Saturday, July 23rd, Don will be teaching a full day workshop that will help you do just that. The workshop will begin at 9AM at the Fairfield Inn & Suites, 8540 E. Independence Blvd, Charlotte, NC. This month at our Charlotte REIA Meeting, George Antone was our world renown guest speaker. George is a brilliant entrepreneur and investor who teaches investors how to structure deals for passive income the way the top 1% of investors in the country do it. If you missed George at the Charlotte REIA Meeting - it doesn't end there! Paul Rossano, another brilliant investor who works with George, will be presenting a phenomenal two-day workshop on Saturday June 25th & 26th called "The Wealthy Code"! This is going to be an exciting, ACTIVE and fun hands-on training where you will be rolling up your sleeves and working with others in a round table setting - - learning by doing everything that Paul will be teaching. OUR BOLD PROMISE: By The End of This Training, You Will Be Structuring Deals For Passive Income Like The TOP 1% of All Investors In The World! Otherwise you can ask for your money back after attending the ENTIRE event. This is our BOLD PROMISE! This event is not a pitch fest. There are no sales during the entire training event. This is an advanced, highly interactive training workshop for investors who want to take their investing business to the next level and beyond by structuring safer deals for high profits, massive passive income and greatly reduced risk. Learn to crack “The Wealthy Code” and experience true success for yourself. You have everything to gain and nothing to lose! It’s not too late to register! Register Now and we will see you there! Why Most Real Estate Investors Will Lose Most Of Their Properties. You find a good piece of income producing real estate that you decide to buy. You have little money to buy it, but you decide to use whatever money you have as part of your down payment. You are excited! You start feeling like a successful investor. Few years later, you lose BOTH properties. It wasn't the properties, they were great. In this article, my goal is to simply OPEN YOUR EYES to something most investors never realized and don't know is hurting them. You could be one of those investors. The simple truth is MOST investors think they know how to structure deals correctly, when they actually don't. Would you want to wake up years from now and realize that you are about to lose everything because you failed to know this one critical skill - deal structuring? The worst part of this is that these investors are losing their friends and family's hard-earned money, ruining those relationships in the process. Needless to say, Thanksgiving will never be the same! Most investors know how to measure return (the 'upside' of a deal) but do not know how to MEASURE risk, meaning putting a number to risk (the 'downside' of a deal)? Do you? What is the right return for your deal? (Please don't say "as high as I can get." If you KNOW how to answer these 3 basic questions of deal structuring, then you are on the right track. Unfortunately, most investors cannot answer the questions. The good news is you can learn how to structure deals correctly be in just 2 days by attending The Wealthy Code Workshop on June 25th & 26th in Charlotte, and in the process elevate your game and vastly improve your investment decisions forever.. Here are the 3 skills every investor needs to master. Investing in the right assets. The problem is most people don't even know anything about the last option (which happens to be a VERY important one). It's time to become aware of it. And when will you find out it's too late? I look forward to seeing you the The Wealthy Code Workshop on June 25th & 26th in Charlotte where I will teach you how to structure deals the right way! Our next Charlotte REIA Main Meeting will be on Thursday, June 2nd at 6PM at the Crowne Plaza Charlotte Executive Park located at 5700 Westpark Dr in Charlotte, NC and we are very excited to present George Antone founder of MPact Wealth, who will sharing with us his years of knowledge about being an entrepreneur and investor. Since the age of 16, George has been involved in business with several of his family’s enterprises. He has become an expert at structuring deals, whether real estate, notes, or any other income-producing transactions. Most investors know how to find the deals, and many even know how to find the funds to close the deal, however, the majority of investors do not structure their deals properly and they leave themselves vulnerable down the road. You definitely don’t want to be that investor. So don’t miss this very important meeting! Don’t miss this great opportunity to learn how to structure all of your income producing deals to make you more money! All this is happening at the Charlotte REIA main meeting on Thursday, June 2nd at 6PM at the Crowne Plaza Charlotte Executive Park located at 5700 Westpark Dr in Charlotte, NC. So don’t miss this rare opportunity to learn all about how the top investors create passive wealth. We look forward to seeing you at the meeting! Here’s the big picture: You must let everyone know who you are and what you do. The goal is to have all the folks in your area call you if they are considering selling their property. Your next task is to separate the folks who WANT to sell from the folks who NEED to sell. And finally, when you find a motivated seller, you must be able to creatively structure a win-win deal, as well as be willing to pull the trigger quickly – ‘cause great deals don’t hang around long! By far, the MOST effective thing we do to accomplish the above goals is knocking on sellers’ doors and asking Pete Fortunato’s famous question: "Why are you selling such a nice house like this?" Nothing, nothing, nothing works better than knocking on sellers’ doors!